We’re continuing our #SummerAtoZ blog event with a list of (d)ystopian books that you might enjoy. 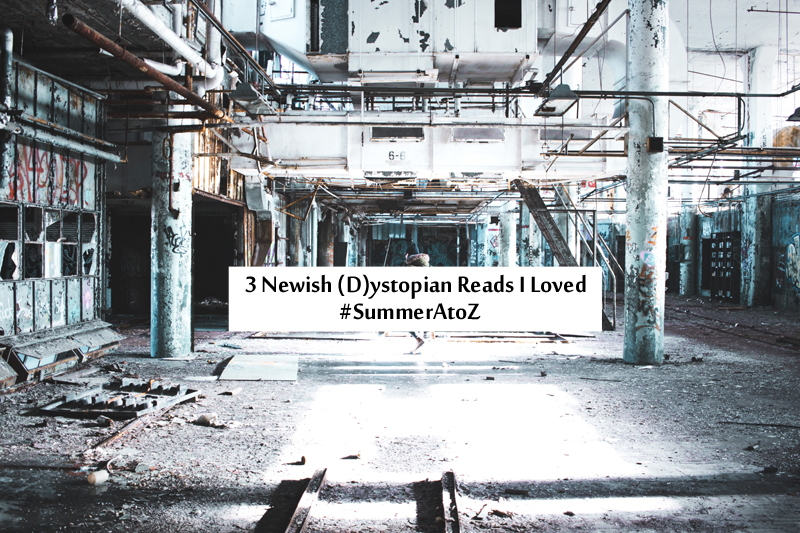 The buzz surrounding dystopian books seems to have died down at this point, but I still have fun reading them and I’ve found some really good ones lately. This is the second book in The Girl With All the Gifts series. So start there if you haven’t read it yet. Seventeen-year-old Becca Greenfield was snatched from her home and thrown without reason into a hellish prison known as the Crazy House.Her only hope for survival is for her sister, Cassie, to find her—that the “good twin” will stop following the rules and start breaking them, before it’s too late. If you haven’t read a James Patterson book, what are you waiting for? Crazy House is a good place to start. Victoria Schwab is kind of becoming an auto-read author for me. I love the Monsters of Verity series. If you’re looking for something exciting that will keep you guessing, this is a great one.